Hi, Good Morning. Thank you friends and viewers. 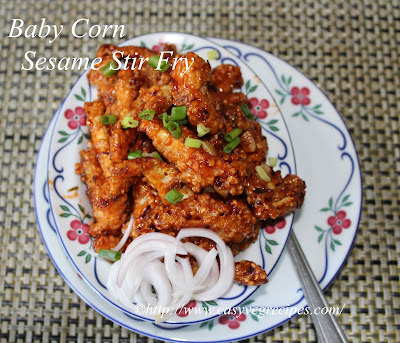 Today I will post how to make baby corn sesame stir fry recipe. This recipe I have picked it from vahrehavh. Thanks to Mr.Sanjay Tumma and Ragini Ma'am for the nice and simple recipes. Baby corn sesame stir fry is a Indo-Chinese starter recipe. A very simple and kids love this too very much. I get baby corn from grocery stores. We get them peeled and ready to use. We can immediately consume them without spoiling. Baby Corn Sesame Stir Fry -- An Indo-Chinese starter. Cut baby corn into 2 to 3" long pieces. In a mixing bowl add corn flour, all purpose flour, salt and ginger garlic paste. Mix well. Add little, as little as 2 to 4 tablespoons, water and make batter. The batter should be thick and easily pouring. 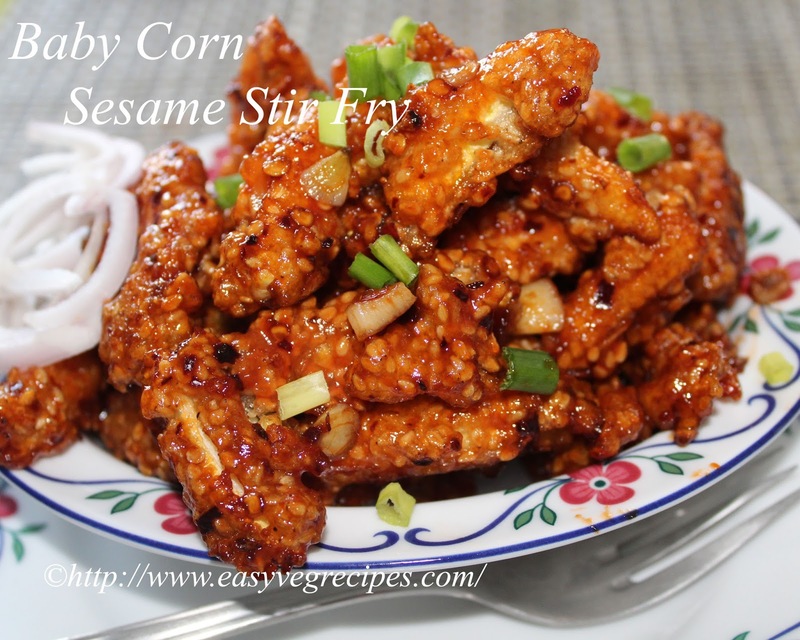 Add baby corn pieces and sesame seeds and mix it well. Fry these baby corn pieces in medium to high flame. They should become crisp but do not change the colour. Keep them aside. peel the skin of ginger cloves and chop them into small pieces. Heat 2 tablespoon oil in another pan or in the same pan, add ginger pieces. Fry them till they turn light golden colour, add chilli flakes and salt. Fry them also, then goes soya sauce, tomato sauce and then add vinegar. To neutralize vinegar reaction, we will add sugar. Add fried baby corn and mix it well. Check salt and add if necesary. Serve baby corn sesame stir fry immediately. 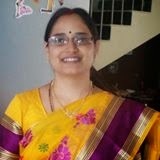 For more Indo-Chinese recipes click here.Thank you for visiting my blog. Hope you liked all my recipes. Any feedback and comments are appreciated.